All spoken dialog should be closed captioned (subtitled) to improve accessibility. Video must include an opening title. Video Previews are 30-second videos that give a quick glimpse of your work and help promote your publication within the CHI community and beyond. Video Previews are a great opportunity to stand out your work and reach conference attendees, researchers and practitioners within and outside the community, journalists and the general public. Since their introduction at CHI 2013, Video Previews have been adopted in first class conferences such as ACM UIST and IEEE VIS. CHI 2019 will continue the use of video previews. All authors of accepted Papers, as well as some extended abstract venues, are strongly encouraged to submit a video preview that describes their work. Important: Selected video previews will be featured in the conference Teaser Video! See the CHI 2017 Teaser. We anticipate that Video Previews will be released approximately two weeks prior to the conference. Your Video Preview material must conform to the format as described in the Technical Requirements and Guidelines for Videos at CHI. We also encourage you to check the Guide to a Successful Video Submission to help you create a compelling video preview of quality. For inspiration, you can watch the Video Previews of CHI 2014, CHI 2015, CHI 2016, and CHI 2017. The first 3 seconds of the video must include a title slide, detailing: the title of your paper, author list, affiliations and contact information. This title slide should last 3-4 seconds at most, focus on your content! The rest of the video should communicate the topic and the message of your work (like an elevator pitch). Video Previews are 30 seconds long. Longer videos describing your work should be submitted as a Video Figure for review before your venue submission deadline. The video must be appropriate in terms of rights, use of language, viewpoints or imagery, and should not offend any individuals or groups at the conference or elsewhere (we reserve the right to reject videos whose content is inappropriate). Subtitles must be included to improve the accessibility of your video. Closed captions must be submitted alongside your video to be uploaded to YouTube. A closed-captioning file must be submitted in .srt or .sbv format. There are several free, easy ways to caption your videos. We recommend uploading your video to YouTube and use the provided captioning tools. Further instructions can be found on the in this step-by-step captioning tutorial or in the Guide to a Successful Video Submission. Please note that a Video Preview is not an advertisement video for your conference talk. 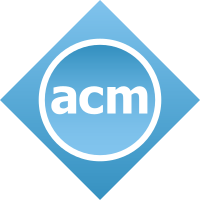 Video Previews will be archived on the ACM Digital Library next to your abstract to help others quickly review your work. Their diffusion goes beyond the conference and should not be seen as a teaser to the presentation. Instead, Video Previews should be thought of as a video abstract to attract more readers to the paper. Authors of accepted submissions will be invited to submit a 30-second Video Preview. Your Video Preview should be submitted to Precision Conference System (PCS 2.0) using the same submission form as used for the camera-ready version of your publication. The above Quick Facts have been designed to help you make sure that your material conforms to the Video Previews requirements. Please make sure that you go through every item of this list. Before submitting, we also invite you to check the compliance of your file using the CHI Video Previews Checker. If the subtitles for your video are in a separate text file, please submit them as part of the “Auxiliary Material” of your submission. **Please note: Video Previews are subject to ACM’s copyright policies. Please review ACM’s Copyright and Permission Policy and ACM’s Requirements about 3rd party material.